OpenLM provides a SaaS solution for monitoring network license servers while keeping installation and upgrade efforts to a minimum. Please read more about the OpenLM SaaS solution’s architecture in this document. In order to implement the OpenLM SaaS solution on your network, you will need to install the OpenLM Broker on your license server machine, and enable a secure connection over a dedicated port between the OpenLM Broker and the cloud resident OpenLM Server. This document is a quick guide for basic OpenLM Broker installation and configuration for SaaS solutions. It does NOT include all the functions available on the Broker. For more comprehensive information, please refer to the OpenLM Broker Comprehensive installation Application note. Here is a video tutorial which goes over the registration and configuration of the OpenLM Broker for SaaS systems. 2. Click the “Download OpenLM Broker” button, for either Windows or Unix/Linux systems. 3. Install the Broker on your License Server machine. 3b. For Windows systems, double click the downloaded installation file icon, and follow the installation instructions. 1. 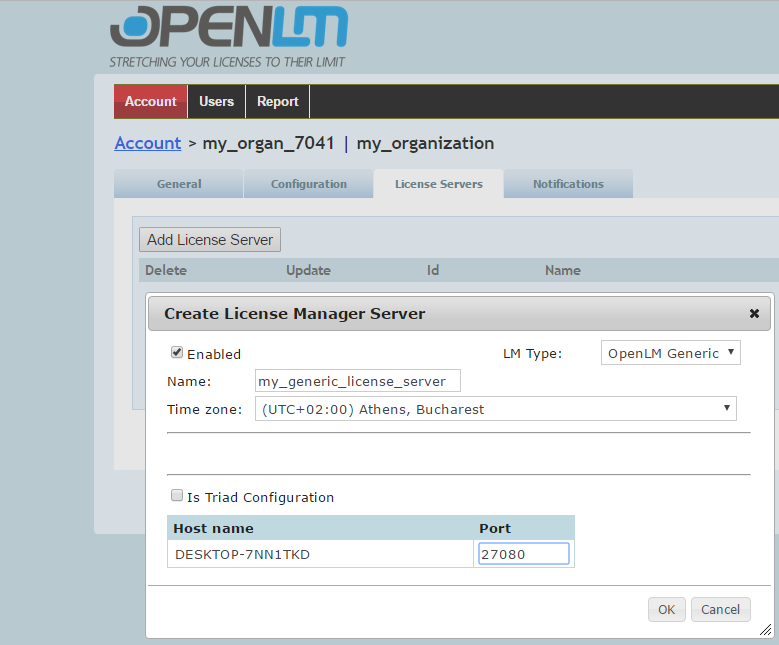 On the OpenLM Downloads page, Click the “Install OpenLM SaaS” button. The registration page opens. Type in the required information in all text boxes, and click the “Register to service” button. 2. Look into your mailbox for a new email, with a link to confirm your registration. 3c. An attached ‘broker.xml‘ file. 4. Click the link to the login page, and type in your credentials. This login window also enables users to later login via their google account if they choose to do so. 5. At this stage you will be prompted to change your password, and login with the new password that you have created. 1. Copy the ‘broker.xml‘ file that was attached to the 2nd email you received from OpenLM to your local license server machine. 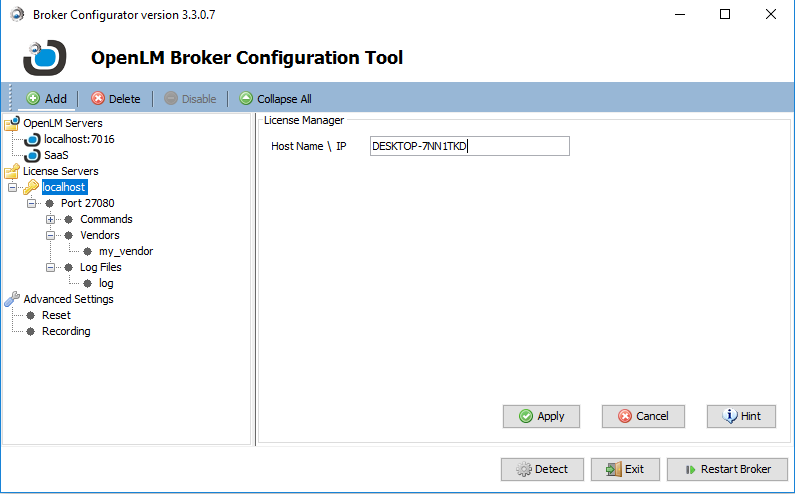 Note that the Broker automatically detects the settings of FlexLM license managers installed on the machine. The existence and location of FlexLM Options files is not automatically configured; Setting their names and paths remains to be done manually. 3. Select the “OpenLM Servers” node on the left pane. 4. 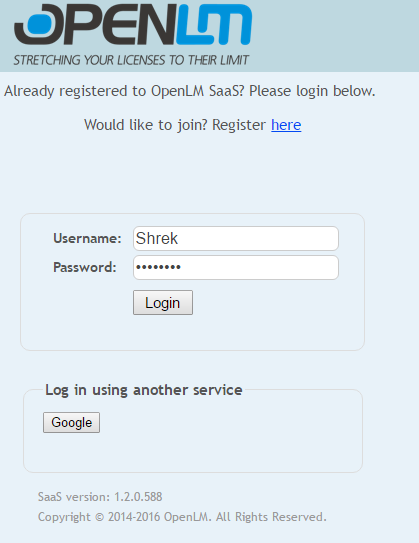 Click the green ‘+’ icon, an select the “OpenLM SaaS Server” option (see image blow). 5. Click “Import SaaS settings from file” button, and select the saved ‘broker.xml‘ file. 6. Click the “Check connectivity to OpenLM Server” button to perform a connectivity check. 7. Click ‘Apply’ to save the information entered, and the “Restart Broker” button. 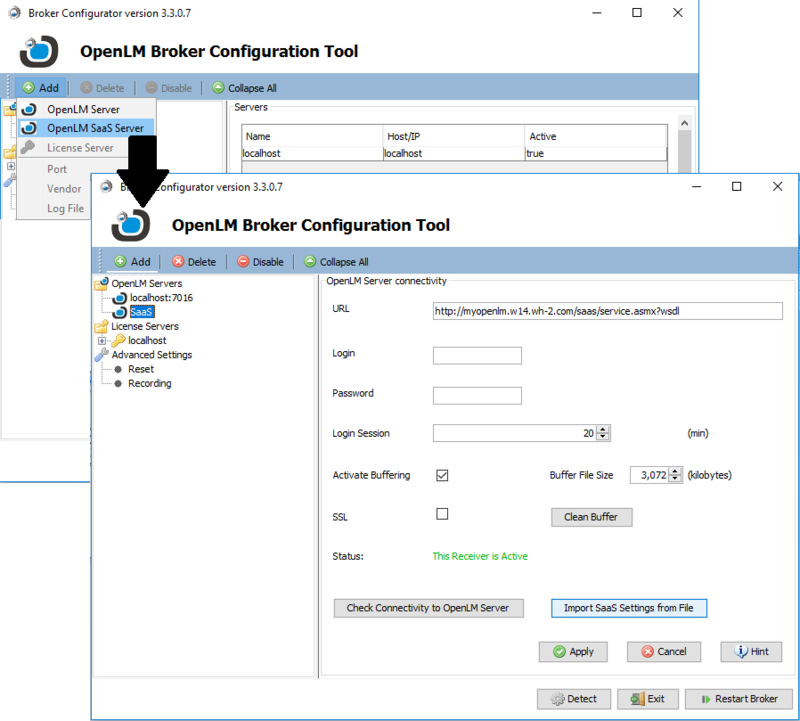 The Broker connects to license server ports, and conveys license usage information to the OpenLM license server. Note that on windows’ installations, the Broker configuration tool automatically detects FlexLM License Managers on the host machine upon first startup. It displays a list of these license managers under the “License Servers” folder on the left pane. 1. Select “License Servers” on the left side of the screen. 2. Click the “Add” button. A drop-down list appears. 4. Click on the “Port” node under the new License Server key symbol. The “License Manager Port” form appears. 6. Type in the vendor name, under the newly created ‘Port’ node (e.g. for Autodesk, the vendor name is adskflex). In the example below it is my_vendor. 1. Login to your SaaS account. 2. On the “License servers” tab, click the “Add license server” button. 5. Click the OK button to submit this configuration. On the ‘General’ tab, click the “Launch EasyAdmin” hyperlink. The EasyAdmin web application launches on your browser. Click EasyAdmin Start → Widgets → License servers. The “License Servers” window appears. Verify that the configured license managers appear on the list. Click the ‘+’ icon to expand the server indicator and view Broker related information. A correct configuration should present an “All green” indication, as depicted below. In case of other (error) indications, please refer to the OpenLM Broker Comprehensive installation Application note. Please free to address our support team at support@openlm.com with any questions on OpenLM and the SaaS configuration.